Unseasonal Rains have commenced in Maharashtra. Nasik district bore the brunt of a hailstorm on Monday, and several regions of Aurangabad, Kolhapur and solapur, and Marathwada have had rains. 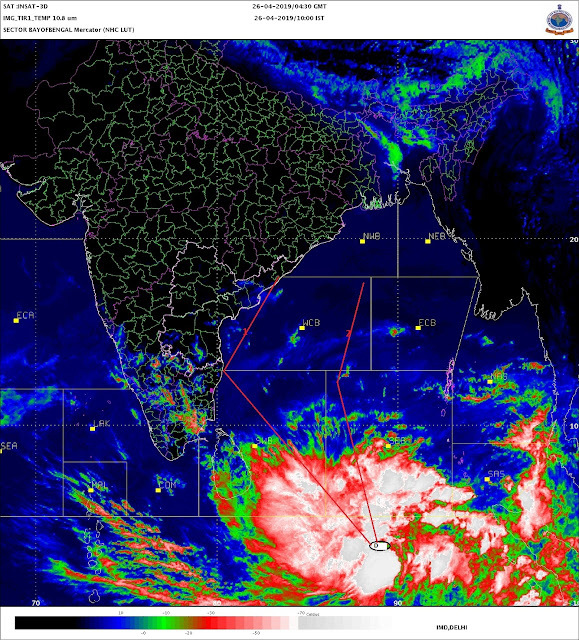 The system in the Arabian Sea is now of depression dimesion. However, some international models differ, and forecast the depression may move north along the west coast to take a westward turn off the north Konkan coast into the sea. Some international forecast models indicate the Arabian Sea weather system may track north-northwest, presumably due to a western disturbance, now moving across Northern India, and its secondary low possibly dipping low into the Arabian Sea in a day or two. The IMD outlook is in agreement with most international models This depression, is expected to cross in Gujarat during the next two days, the IMD said. While COLA is of the view that the system may cross the Konkan coast and precipitate rain inland into Maharashtra and southern M.P.. In short, we have a depression moving up the west coast of india from the 9th. and precipitating rain along the Kerala/ Karnatakacoast on the 9th./10th., thence along Goa and south Konkan, and interior Maharashtra on the 10th/11th. and North Konkan will have moderate rains, with some heavy falls on the 10th/11th. I personally feel the depression will fizzle out in the sea itself by the 12th. After some unseasoanal rains along its path as mentioned above. Let's watch its movement from day to day and see the changes. Mumbai: Same forecast as per last blog holds good. Stuffy weather with light showers on Tuesday, and some showers, with winds on Wednessday.Winds will change direction from easterlies to southerlies to westerlies, as per the depresiion movement. Maybe some thunder in the night. Day temperatures will be around 31c. Cloudiness decreasing from Thursday evening, as the depresion moves away from Mumbai. JTWC has put the track of the unnamed cyclone 04A right in line for the South Gujarat coast which mean Mumbai receiving some spells of heavy rain and windy conditions. As mentioned by you, very interesting scenario. I have been eagerly looking for a big system in Mumbai vicinity for past 14 years.